you scream…. we all know how that goes! well it is summer and that ice cream man goes up and down our street taunting us daily. it is hard to resist…but we keep our freezer stocked with cool treats for the hot months! i printed it three times, so i could have three scoops of ice cream. 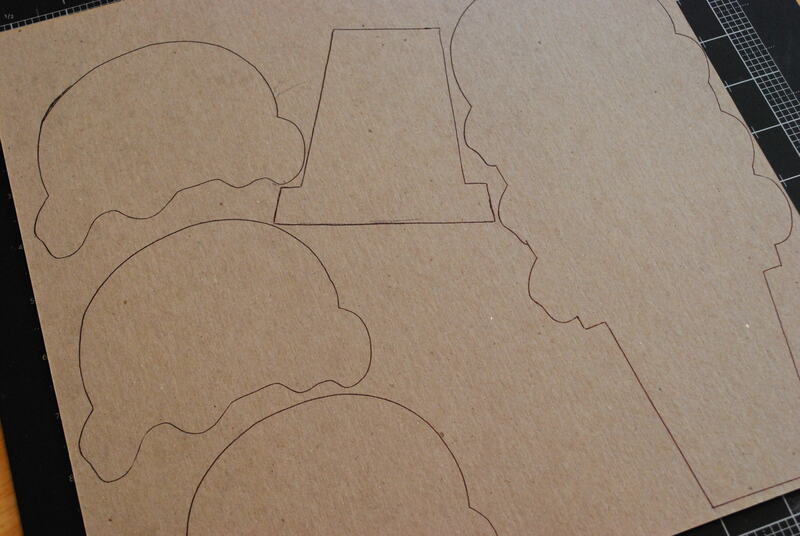 then i cut out one of the prints completely, and then the other two scoops. 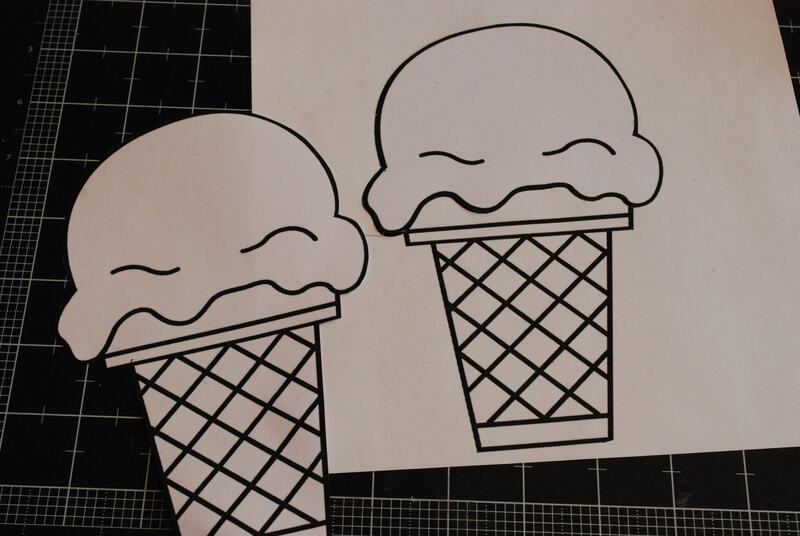 i traced each scoop individually, then the cone and finally layered all three scoops and traced around all of them together. after cutting them out, i punched holes using my crop-a-dile (although, a regular hole punch could work too with some effort). 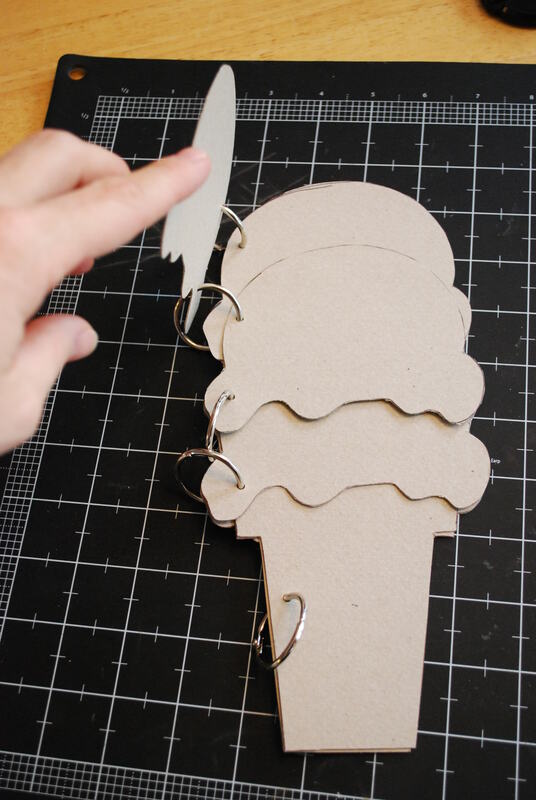 more tracing coming up next, trace twice each of the ice cream scoops, the cone and the full ice cream cone for the back of the book with coordinating pattern papers. the yummier the better…after all, it is ice cream! after all the tracing and cutting is done now it is time to decorate. 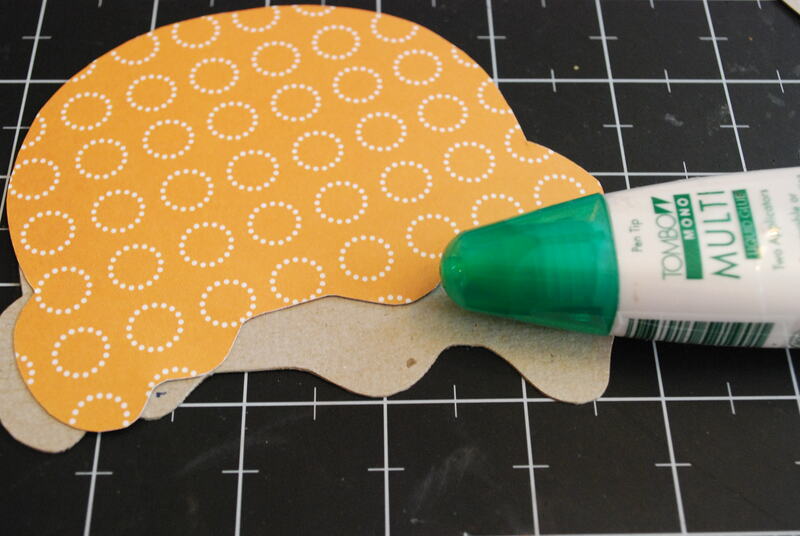 keep in mind if you want to sew or do brads…anything that you have to poke through the paper, do it first before gluing it down. 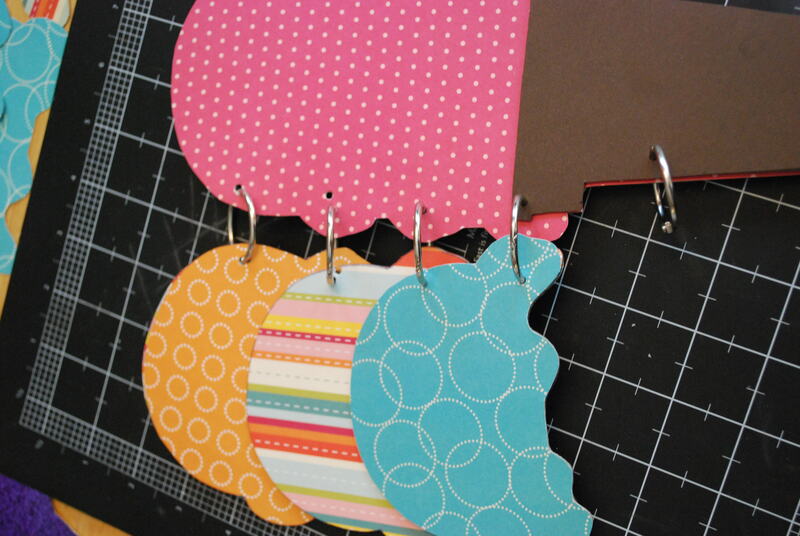 also make sure you put one side of paper on, then re-punch holes, so you don’t cover them up completely. and then put the second side of paper on. right now mine are held down temporarily with Tombow MONO Adhesive Removable (the green applicator) so i can pick it up and work with it, but when i glue it down for good i use Tombow MONO Multi. it is the best liquid glue for chipboard albums because of it’s strong hold, full coverage with the option from the two tips, and because it is tacky and not wet. i never worry about my paper warping. so here is my album. it is exactly as i was envisioning! now, i need to take pictures of those ice cream sticky kids! i love summer! ps. off to find some smaller binder rings! pss. i’ll repost the finished album after i take my pictures…. This is awesome Sarah! Now I want to make one. 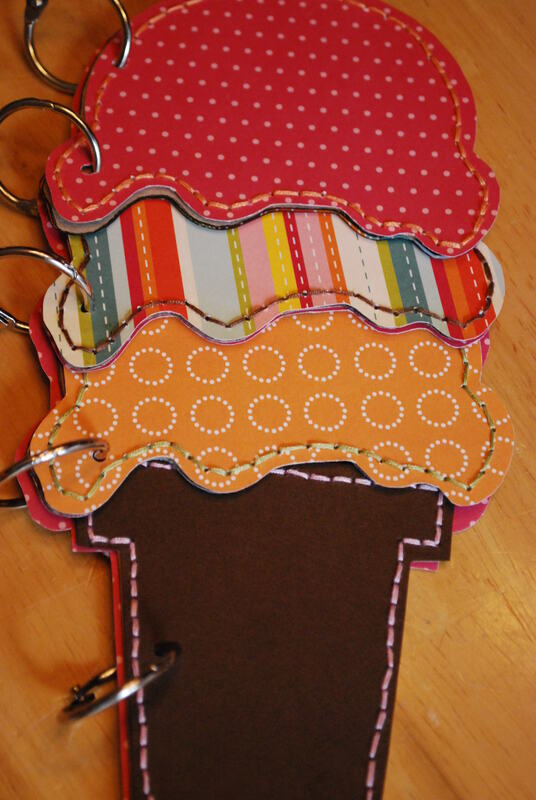 Ü You may not need smaller rings if you add any bulk with embellishments after adding your pictures. This is adorable Sarah! You have inspired me to make one too! This is so cute! I love it! Don’t you love it when things turn out just as you pictured!